In the summer the population of the Algarve triples with the addition of around a million tourists at any given time. In August of 2015 we spent two weeks being four of the million. I don’t think many people noticed us. We probably got away with it. The name “Algarve” is a corruption of the Arabic name “Al-Gharb”, meaning “The West”. It is the southernmost region of Portugal and has about half a million permanent residents packed into an area of about 5,000 sq. kilometres. 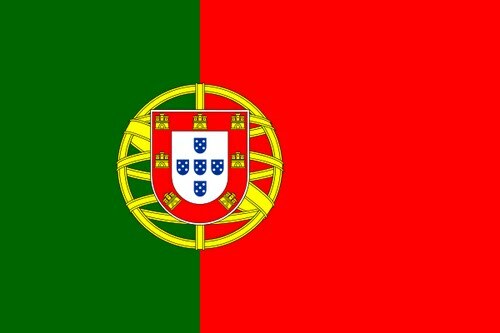 It is the third richest region of Portugal (after Lisbon and Madeira). If you set off for your holiday really, really early in the morning then you get an extra day. This is an especially useful concept if you remember it beforehand, and dress accordingly. A lazy day of settling into our apartment after an extremely long day with a lot of travelling the day before. It was really very warm, so we decided to max out on the "chillin" front. A day trip out to the very south-western tip of Portugal - to Sagres and the lighthouse at the end of the world. It's a bit like Land's End, only warmer. A lazy day of booking things up for later in the holiday, followed by a night out in Albufeira Town and a caching event on the beach. A day of surveying the Algarve coast, firstly from a boat, and then from the tops of the cliffs. Oh yes, it was time to do a bit of geocaching. Tavira looked like an interesting day out and was recommended as a full day excursion by our tour company. Hmmm ! It is a pleasant little town, but there's not an awful lot to do there. Every holiday we go on results in a blog post entitled "Not a Lot Happened" or something similar. This is that one ! A day of some historical interest in the Algarve's former capital of Silves, followed by the obligatory beach and ice creams. Well it was a warm day. Seville is famous for its oranges, although most of them get shipped to Dundee to be turned into marmalade, allegedly. We didn't see many while we were there anyway. What could be better than flying behind a big parachute over the open ocean ? Or looking for bits of tupperware stuck up the side of a cliff ? This might have been another one in the series entitled "Not a Lot Happened". It was saved by an afternoon trip to the nearby Praia do São Rafael. It seems every holiday has to have a visit to some kind of water themed amusement park. Our final day trip out and we were a bit stuck for where to go, so we started off by going somewhere we'd already been once. And then we went to a couple of new (to us) and rather lovely places. A day with no particular plans other than chilling and packing and drinking all the remaining beer out of the fridge. I increased the time pressure by going out caching all afternoon. A long journey home with a very early start, and a ridiculous delay at the airport. Just what you need to make the reality sink back in again.